Went on a service call the other day on a Thermador electric wall oven; complaint – no bake. Now, wall ovens can be tricky to troubleshoot and repair so I came ready for the worst-case scenario which would require me to remove the wall oven. I packed my All Dolly wall oven cart in my Fixite Do service van and off I went. 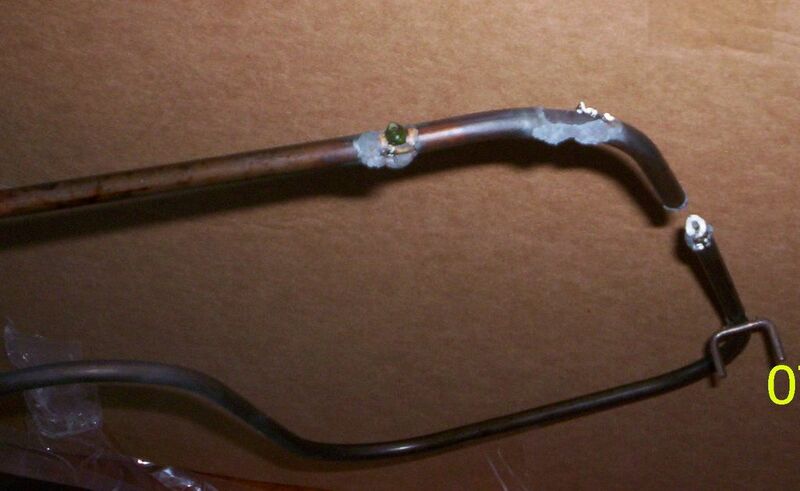 As you can see, this calrod heating element finally self-destructed. “But how?” you ask, intrepidly. “No one knows,” I answer, sagaciously. “But I thought you were the Samurai?” you exclaim, quizzically. At which point, you click here, obediently. This entry was posted in Oven Repair on October 5, 2005 by Samurai Appliance Repair Man.